Want it by Friday 26th April? Order within 11 hours, 13 minutes and choose Royal Mail Tracked 24 Hour at checkout. 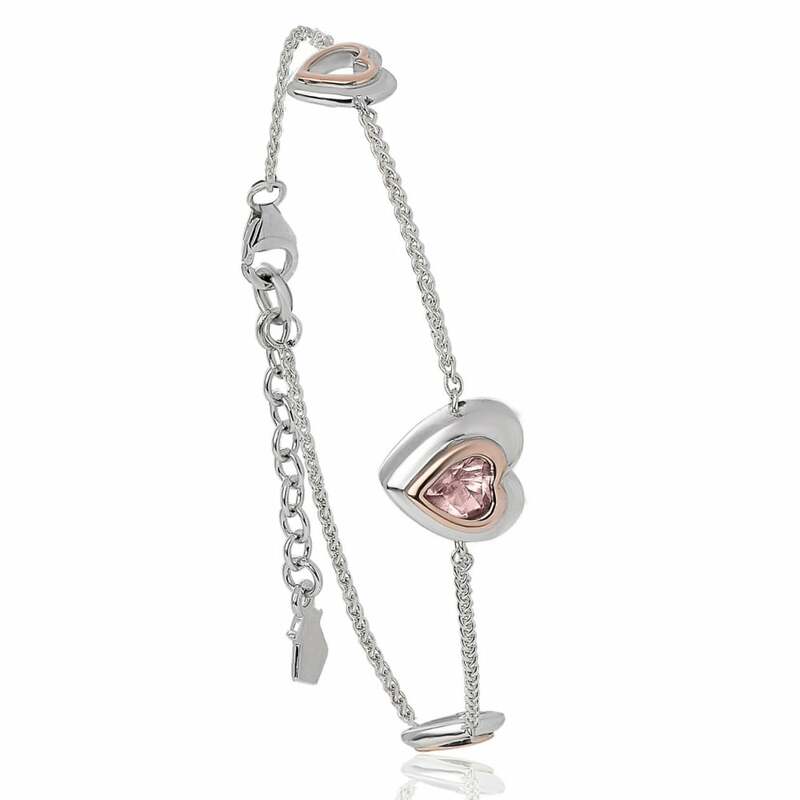 Celebrating the essence of love and romance with the iconic heart motif, this exquisite bracelet is set with sparkling Swarovski Genuine Misty Rose Topaz. The perfect gift for a loved one, this beautiful bracelet contains rare Welsh gold - the Gold of Royalty for over 100 years.